LONDON: Medical publishing is currently confronted with many stresses and fault lines, but a recent seminar on medical publishing organized by the International Association of Scientific Technical and Medical Publishers in London focused on the many significant opportunities instead. 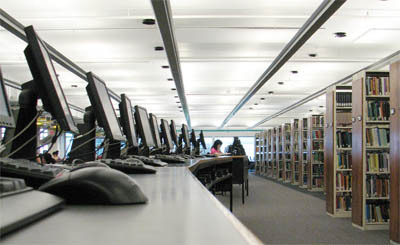 Bypassing declining library budgets, business model indecision, peer review quagmires and issues of data ownership, the program selected four areas of exploration: Innovative content platforms, China as a developing market, collaboration with pharmaceutical companies, and clinician information and workflow needs. Organized by Peter Ashman, Publishing Director of the BMJ Group, the seminar featured presenters who varied in their emphasis and approach, but all agreed that leveraging content users is the key to increased revenue generation and success in today’s medical publishing environment. The keynote address by Howard Bauchner, MD, Editor-in-Chief of the Journal of the American Medical Association (JAMA), highlighted the transitional nature of medical publishing as the print journal product is transformed into a digital-only format. Five content platform providers highlighted revenue generating opportunities for medical publishers in a digital environment. These efforts all have a basis in semantic tagging and data analytics, particularly used to identify authors and classes of users. Kevin Cohn, Vice President of Operations at Atypon, implored publishers to look at the big picture and target classes or types of users to engage and monetize usage. “Scientific publishers’ ‘original sin’ is concentrating on site licenses and big institutional deals. Because of this, you can no longer monetize individual subs. But individuals can be institutional proxies. If you address them to increase traffic, then you can ultimately monetize them.” Cohen cited the New England Journal of Medicine as an example of a publisher with customized topic-based collections that harvests data about user behaviors and creates custom campaigns to each class/types. Thomas Rump, Managing Director at HighWire Press, stressed the importance of open platforms to facilitate content distribution. When platforms are opened up and data is linked, publishers have more ownership and control, and can build traffic in customized ways. An example of this is the British Bone and Joint Surgery website which divides orthopaedic surgeons into “pots” with specialty pages using content tagging. These semantic tags can be both internal and external in nature. Richard Padley, Managing Director of Semantico, stressed the importance of publisher services vis-à-vis authors. “Publisher services will differentiate publishers one from the other. What happens when we can measure influence on an author level? This is very important from a funder perspective.” With a business model shift to open access, the author then becomes the focal customer and publishing becomes a service. Michael Clarke, Executive Vice President of Silverchair Information Systems, noted that “One Rx does not fit all.” For him semantic searching normalizes the content and connects different terms conceptually. Silverchair routinely looks the terms used for searching and adds them to its taxonomy. They also take into consideration who is actually searching so that the clinician and researcher get different, tailored results. She urged publishers to enter the Chinese market before it is too late. Government spending on research was $5.14 billion last year, up 26% from the previous year. Meadows called attention to Weibo, the Chinese Twitter, which has 300 million registered users. The biggest users of Weibo are doctors. She suggested publishers consider co-publishing with a Chinese partner, preparing pharma sponsored journal selections or translated abstracts and local language reprints. She stressed that publishers must think carefully about their niche and not take a generalized approach. Michael Brown, Editorial Director at Oxford University Press, pointed out that the Chinese government and its institutions are shifting their focus from scale to quality in scientific publishing. OUP now receives seven percent of its article submissions from China, while four percent of published articles are from there. He cited the example of Molecular Plant, an English-language Chinese journal published by OUP, with an impact factor over five. The journal has joint Chinese editors, one based in China and one in the U.S. It is an example of the type of international journal that OUP will increasingly seek to establish. Anna-Lisa Fisher, Director, Publications Management Team at Pfizer Ltd., and Sarah Feeney, Head of Scientific Division, Complete Medical Communications, both encouraged publishers to consider collaborations with pharma in publishing content. The disclosure requirements for sponsorship, payments and authorship are now tightly policed so as to ensure complete compliance and transparency, according to them. They detailed some of the internal company checks and balances and sought feedback from editors and publishers early in the submission process, particularly for clinical trial results which must be published shortly after trial completion. The final set of presentations for the day focused on increased need by physicians for task-specific information, particularly at point-of-care. This need is fueled by scarcity of time and money, but also by quality control and performance measurement initiatives. Content, technology and devices will inform these efforts. Charles Young, MD, Vice President and Publishing Director of Wiley-Blackwell, stressed that the top things that doctors seek now are digital in nature. They also want content to be more granular, even below journal article and book chapter level. “Doctors will need to evaluate their performance.” he said. Performance improvement will result from access to information and the ability to teach it. Patient information is also important so that patients know how to treat themselves. He forecasted a growth in non-traditional practitioner groups in non-traditional settings who will have their own information needs. Rhian Morgan, Strategist at Cerner, an electronic patient record vendor, described a product Cerner is developing with the BMJ. The product marries knowledge-based information extracted from the BMJ with patient information from the point of admission to hospital. “Doctors don’t want to search for information,” she said. It needs to be immediately available. This integration of disease-specific content within patient care pathways will have a “huge impact on patient outcomes.” The Cerner/BMJ product includes international guidelines and also meets local standards of care. Shaun Barriball, CEO and Founder of Mobile IQ, described tablets as being a strong presence in medical publishing. 25% of European doctors use iPads for work and another 35% say they will in the near future. Barriball’s company has created tablet apps for many journal publishers, but admonishes publishers to have a clear value proposition when creating the app, particularly with regard to content enrichment, media leverage and automation. He reminded publishers that they must carefully market their apps in order to insure discoverability and usability. Finally he stressed the use of HTML5 as the best current strategy. DISCUSS: Which STM Topics Are Most Urgent for Us to Cover? Paula has worked for more than 20 years in the scientific, technical and medical publishing fields. Prior to working for STM publishers, she spent more than 15 years in consumer magazine and newspaper publishing, holding financial and marketing roles. She has an MBA in marketing from The Wharton School and a BS from Cornell University.